Are you looking for the best day trips from San Francisco? What about some ideas for a weekend getaway? If so, I think you will enjoy my list of 40 fun places to visit that are just a few minutes or a couple of hours away from SF. You will find some popular picks such as Napa and Sonoma wine regions, Muir Woods, and Monterey. You will also find some less traveled options such as the Carmel Valley wine region or Big Basin Redwoods State Park. Most are are easy to get to, either on your own or with a tour, and offer you an experience you will remember for a lifetime. I've organized them into three sections including those north, south and east of SF. All three sections are organized by distance from San Francisco. Those at the top are closest and those at the bottom of each section are further away. I also grouped some attractions/locations next to each other on my list, so you can see what is nearby and possibly visit more than one in a day. Click the links to head to a section to learn more. North of San Francisco you will find Marin County and some of Northern California's best wine regions. You will find cute waterfront towns, plenty of places to go hiking, parks where you can admire our gorgeous redwoods, and an endless supply of tasty California wines. Just across the Golden Gate Bridge, you will find the Marin Headlands. It's one of the best places to get a picture of the bridge with San Francisco in the background. You will also find a few additional attractions nearby including the Point Bonita Lighthouse, several old military batteries (the most visited is Battery Spencer), and some hiking trails. You can either get here by car or by bike. If you decide to ride a bike across the bridge, there is a lane on the East side of the bridge specifically for walking or cycling. If you decide to drive over, it takes less than 30 minutes to get there and the views are worth the visit alone! 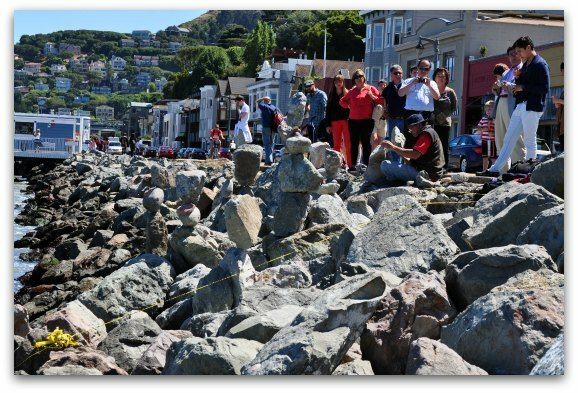 Another close place for a day trip from San Francisco is Sausalito. This is a common place for people to visit as it's only a 35 minute ferry ride away. In this cute seaside village, you can shop at boutique stores, enjoy fresh seafood as you gaze out at the SF Bay, or visit Sausalito's museums. Outside of sampling salt water taffy along Bridgeway, my favorite thing to do here is to visit the Bay Model Visitor Center. Here you can check out a three-dimensional hydraulic model of the SF Bay. It might sound strange, but believe me, it is really cool! If you are traveling with kids, you will all enjoy a visit to the Bay Area Discover Museum. It's full of fun kids activities, games and exploration. 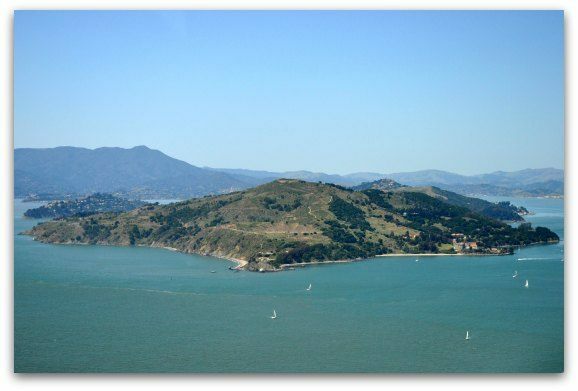 Angel Island is also a nearby day trip from San Francisco. While it sits in the SF Bay, I consider it a day trip as the ferries to and from only run a couple of times a day. If you head over in the morning, you will have to stay until the late afternoon. That will give you plenty of time to explore. On the island, you can hike, bike, or take a Segway Tour. You can also visit a couple of museums or spend sometime outside in one of its cafes. My favorite thing to do is hike to the top of the mountain in the picture shown above. From this point, you get an amazing view of the Golden Gate Bridge, Alcatraz and the SF skyline. A cute seaside town just to the north of SF is Tiburon. It's about a half hour north of San Francisco by car or the Tiburon ferry. This small town offers you the chance to do a little shopping and enjoy one of its waterfront restaurants. Its most famous waterfront restaurant is Sam's. On a warm summer day, you will find a large crowd soaking in the rays and enjoying a nice cold beer or some tasty local wine. 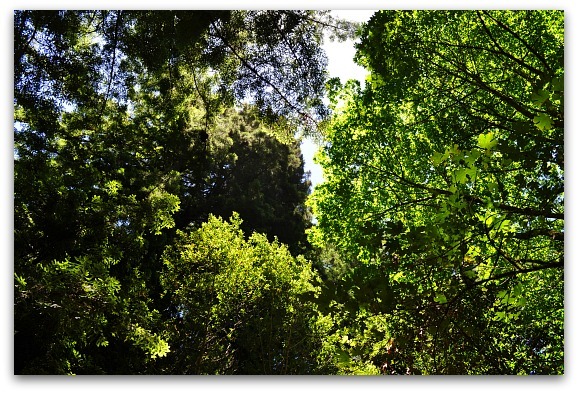 The closest place to see some of Northern California's huge redwoods trees is in Muir Woods. This national park is only about a 45-minute drive north of San Francisco. The beautiful trees you will find here are Coastal Redwoods. They are a close relative to the larger Giant Sequoias. Most are between 600 and 800 years old. In the park, you can walk along a wooden path which is flat and perfect for those that don't want to exert themselves too much. You can also set off on one of the dirt paths for a moderately challenging hike. It's also one of my favorite places to take nature photographs. If you love to hike, don't miss some of the best hiking in the Bay Area at Mount Tamalpais State Park. Inside the park (often referred to as Mount Tam), you will find more than 60 miles of hiking trails. They also link to several other state parks which connect you to a total of our 200 miles of trails. You will find trails for hikers of all levels and ability. The most popular hike is a moderate hike that includes the Matt Davis, Steep Ravine, and Dipsea Trail. You will get some amazing views on this trail and it includes a hike to the top of Mt. Tam. A less strenuous hike that is also popular is the Verna Dunshee Trail combined with the Plank Trail. Make sure to bring along some snacks and water as there is no where in the park to pick these up. To the west of Napa, you will find hundreds of delicious Northern Californian wines throughout Sonoma County. The county is broken up into a number of regions. You can reach the southern regions in about an hour and it will take about an hour and a half to reach the northern end. If you love Pinot Noir, check out the Russian River Valley or Carneros. Zinfandel lovers should head north to Dry Creek Valley. This region also offers some of the best Syrah in the area. If you want just a sampling of the wines from this region, then head to Sonoma Valley, which is an easy drive from both San Francisco and Napa Valley. Click the links below for more details about visiting Sonoma. Are you interested in taking a day trip from SF to wine country? 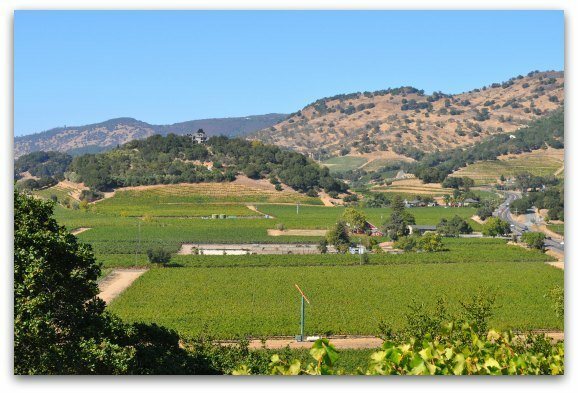 If so, then visit this page to find the best tours to Northern California Wine Country from San Francisco. Santa Rosa is the county seat and largest city in Sonoma County. It's another great jumping off point for visiting the amazing wineries, and taste some delicious wines, in this area including those in the Russian River Valley. Santa Rosa is less than an hour north of the Golden Gate Bridge and is one of the popular options for day trips from San Francisco. In addition to wine tasting, you will find several other fun things to do including visiting the historic Railroad Square, the Charles M. Schulz Museum & Research Center (Snoopy and Charlie Brown! ), and Safari West. You will also find a large selection of hotels here. This wine region is the most well known in Northern California. The southern end is just over an hour from SF and it will take about two hours to reach the northern end. Napa is home more than 400 wineries. Many of them open their doors to the public daily for wine tasting. Cabernet Sauvignon is the red wine of choice from Napa. However, wine makers here also do an amazing job with Syrah, Pinot Noir and Merlot. If you love whites, check out this region's Chardonnays. I've also tasted some great Sauvignon Blanc wines and some lovely sparkling white wines. Here are some additional pages to check out about visiting Napa. Healdsburg is another popular spot in Sonoma County. This wine country town is the meeting point for Dry Creek Valley, Alexander Valley, and the Russian River Valley. Many people use it as their jumping off point for tasting in these regions. You will also find a number of great places to taste right in town and around their town square. Other fun things to do here include attending some of their popular festivals, checking out some of their amazing restaurants, or explore the town on one of The Sonomist's Mystery Missions. Healdsburg is just over an hour north of SF. Another one of the fun day trips from San Francisco is Stinson Beach. It's only about 20 miles north of SF, but takes about an hour to get there. This low key town (only about 600 residents) is popular for the beach. It's also perfect for those looking to do some hiking, bird watching, or just spend some time in the outdoors. There are only a couple of places to stay and about a half-dozen places to eat, so many people prefer to just spend the day there and then return to SF. 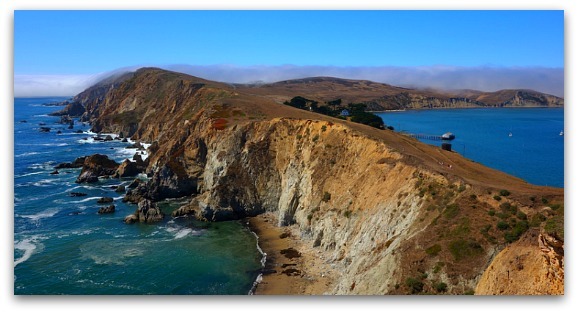 Another one of the top day trips from San Francisco if you are looking for some outdoor adventures is Point Reyes National Seashore. This gorgeous national park is about an hour north of the Golden Gate Bridge. Some of my top picks include the hike to Alamere Falls (starting at the Palomarin Trailhead, the 1870 Point Reyes Lighthouse, the Cyprus Tree Tunnel and seeing the Elephant Seals (for those visiting between December and March). You can either hike or drive around the park to see many of its main attractions. Bodega Bay is a cute oceanfront town that is about an hour and a half north of San Francisco. Some of the best things to do here include water activities such as sailing, kayaking, and paddle boarding. People also love to come here just to hang out on the beach or go horseback riding. Make sure to also leave some time to check out the Fishetarian Fish Market. They have some of the best clam chowder and fish & chips around. They are open 7 days a week. 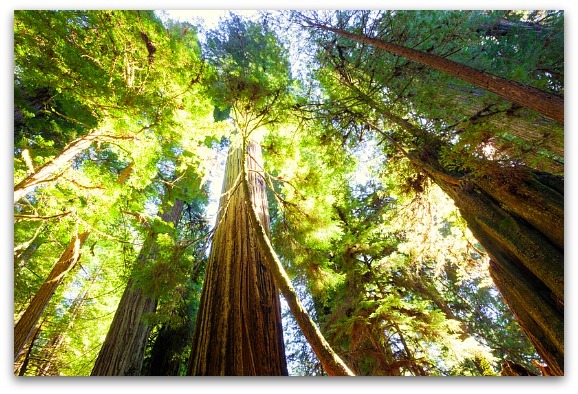 Another great place to see some of our amazing redwood trees is Armstrong Redwoods State Reserve. It's about an hour and 20 minutes north of the Golden Gate Bridge. There are several hiking options here with loops that range from just around a mile to up to 10 miles. The shorter ones are mostly flat and the longer ones will give you a great workout. The trees in this park often live between 500 to 1,000 years and grow up to 200 to 250 feet tall. You can drive around the park a bit, but the best way to see these magnificent trees is on foot. If you really want to get away from it all, then head up to Jenner. This lovely waterfront town is a great place to kick back and relax. Just to the south of Jenner, you will find the Sonoma Coast State Park where you can do a little hiking or enjoy the views at Goat Rock State Beach. Armstrong Redwoods State Reserve is also a short drive away as well as several Sonoma wineries. There are only a few small places to stay and all have wonderful views. You will also find a couple of great restaurants including my favorite, The River's End Restaurant. Less than two and a half hours north of San Francisco, you will find the up-and-coming wine region of Anderson Valley. It isn't as built up or as popular as Napa or Sonoma, but it's an amazing experience for those looking for a unique wine tasting option. There are 27 wineries in this region and they are a bit more spread out than Napa or Sonoma. Almost all offer drop-in tastings. Due to the cooler temps and just a bit of elevation, most wineries here focus on Pinot Noir and sparkling wines. Boonville is the main town on the southern end. It's isn't large--only around 1,000 people--but it's a great place to find a hotel. It's also home to a very successful brewery called the Anderson Valley Brewing Company. As you head south of San Francisco, you will find a variety of fun waterfront towns, places to go hiking, and more wineries. It's also where you will find Silicon Valley, San Jose, Monterey, and Big Sur. Half Moon Bay is a small town on the Pacific Coast. 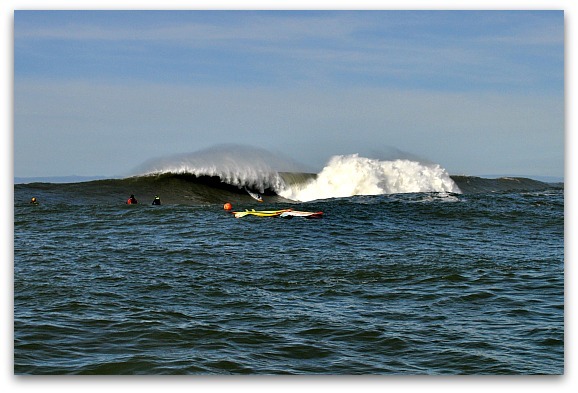 It's a dream vacation for surfers and is famous for its Mavericks Surfing Competition held most years. Even if you don't like to surf, you will still find some fun things to do here. You can spend the day on one of its many beaches, hike its trails that offer amazing views of the water, or grab a cocktail at The Ocean Terrace Bar at The Ritz Carlton for the best sunsets. You can also head over to the local distillery for a tour, gaze up at the redwoods in Purisima Creek Redwoods Open Space Preserve, or do a little wine tasting. Silicon Valley is home to dozens of tech companies including Apple, Google, and Facebook. Although most don't offer an inside view of their facilities, you can easily drive around checking out some of these most valued companies in the world. You can also stroll through Stanford University's campus in Palo Alto and visit one of several technology museums in the area. Silicon Valley is made up of several towns including Mountain View, Sunnyvale, Menlo Park, and Santa Clara. San Jose is also part of Silicon Valley, but I wanted to separate it out as it has so much to offer. San Jose is the largest city in Northern California and makes for one of the best day trips from San Francisco. Here you will find some great museums, a large performing arts community (with opera, ballet, and theater performances), and several unique districts including everything from the downtown area to Japantown. San Jose is also where you will find the Bay Area's NHL team, the San Jose Sharks, and MLS team, the San Jose Earthquakes. In addition, the San Francisco 49ers play just north of San Jose at Levi's Stadium in Santa Clara. About an hour and a half south of San Francisco, and about an hour west of San Jose, you will find the oldest California State Park. Big Basin Redwoods State Park covers around 18,000 acres. It's famous for its ancient coastal redwoods that are between 1,000 and 1,800 years old. Inside the park, you will find around 80 miles of hiking trails. Along these trails, you will find views of the Pacific Ocean and dozens of waterfalls. On the eastern side of San Jose, and about an hour and 45 minutes from San Francisco, you will find another great state park named Henry W. Coe State Park. The park covers around 87,000 acres and is the largest state park in the SF Bay Area. It's a wonderful place to reconnect with nature with more than 200 miles of trails. Some of the trails are well maintained and easy to follow. Others are overgrown and might be hard to spot. Either way, you will find plenty of space to relax, unwind, and enjoy the outdoors. Ano Nuevo State Reserve is another one of my favorite day trips from San Francisco. The biggest draw to this beach and wildlife reserve are the northern elephant seals. You will find them all year around on the beaches near the Pacific Ocean. To see the seals, you must pick up a permit at the visitor's center. They are a hot commodity during mating season (mid-December to late March), so make sure to reserve your ahead of time. The only way to see the seals is by walking a 3 to 4 mile trail through the reserve. It's a flat walk with plenty of wildlife and other things to see along the way. The drive down from San Francisco takes about an hour and a half. Just south of Ano Nuevo State Reserve, is the town of Santa Cruz. This bustling college town offers a variety of activities. 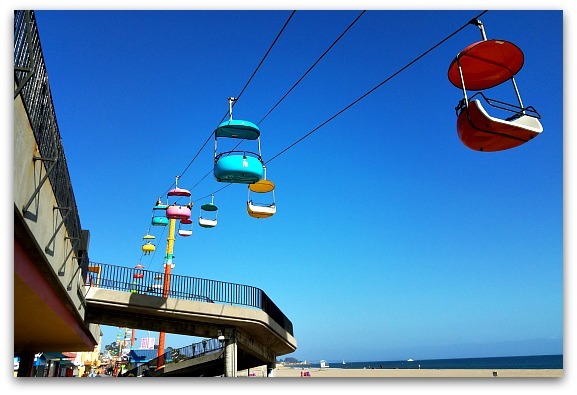 The Santa Cruz Beach Boardwalk will offers a fun time for the entire family all year long. This seaside amusement park opened in 1907 and is home to both the Giant Dipper Roller Coaster and the Looff Carousel (both are national historic landmarks). It's open daily from April through Labor Day Weekend and some parts of it are also open during the off-season. It's also a great place to find unique art pieces created by local artists, go whale watching, or spend some time sampling local beers and wine. Santa Cruz is on the northern end of the Monterey Bay. It's about an hour and 45 minute drive south of San Francisco. 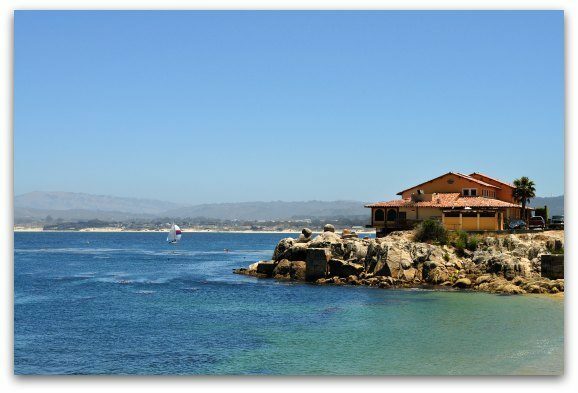 Another one of the popular day trips from San Francisco is Monterey. This small village sits on the gorgeous Monterey Bay. It is around two hours south of San Francisco. Monterey is home to the world famous Monterey Bay Aquarium. It's a must see during your visit. You can also shop on Cannery Row, sample some of the local wines, or go golfing. Fisherman's Wharf is also popular for those looking to go whale watching or enjoy some fresh seafood. It's mild weather makes it the perfect place to visit all year long. Here are a few other popular things to do here. Just to the south of Monterey, you will find the famous golf town of Pebble Beach. The AT&T Pebble Beach Pro-Am rolls into town every February and is the biggest event of the year. The courses here are open to the public and are rated as some of the best in the country. 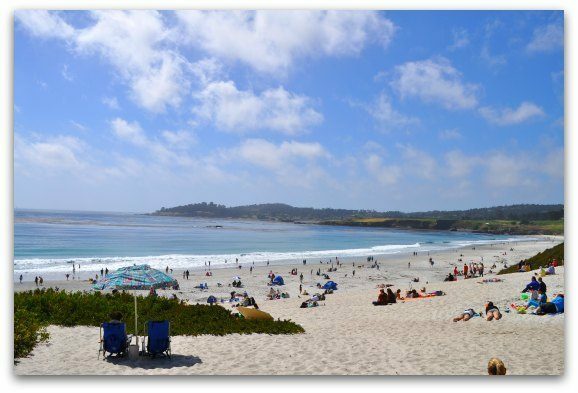 It's also part of the gorgeous 17-mile drive between Monterey and Carmel-by-the-Sea. Even if you don't like to golf, it's worth a quick stop to see the courses and their views. Pebble Beach is about 2 hours and 15 minutes south of San Francisco. About 30 minutes south of Monterey (and about two and half hours from SF) is another quaint town, Carmel. This village offers shopping at dozens of high-end shops, a beautiful beach for sunbathing, and several places to go wine tasting. It's smaller than Monterey, but just as cute and friendly. It's one of my favorite places to go in order to escape the city. The biggest draw to Carmel Valley is the wine tasting rooms centered around Carmel Valley Village. You will find almost 20 tasting rooms within just a few minutes of each other. The wines that grow well here include Cabernet Sauvignon, Merlot, Zinfandel and Sauvignon Blanc. If you want to stay for a night or two, you will also find some great high-end hotels and boutiques in Carmel Valley Village. It's about a 20-minute drive from the Monterey Coast and about 2 and half hours from San Francisco. Big Sur is a stretch of undeveloped shoreline about 3 hours south of San Francisco. It's stunning scenery and peaceful surroundings make it one of the popular day trips from San Francisco. In addition to checking out the views, you can also do some hiking, hang out on the beach, or camp for the night. The area does have a few hotels and restaurants, but it's still mostly natural which is why more than 7 million people visit each year. Just across the San Francisco Bay is the lively town of Oakland. 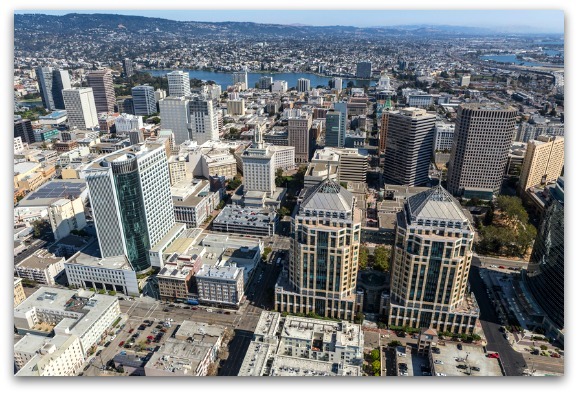 You will find tons of things to do here including world class museums, Jack London Square, and Oakland A's baseball. The Rockridge and Temescal area of Oakland are a food lovers dream. Lake Merritt is a great place for a nice walk, run or gondola ride. These are just a few of the most popular things to do around Oakland. Most of these places are a quick 15- to 20-minute BART ride away from downtown San Francisco. A little further to the north, you will find the university town of Berkeley. Here you can do a little shopping, check out the UC Berkeley Campus and enjoy an amazing meal. Other fun things to do here include seeing a show at the Greek Theatre, catching a theater performance, or go hiking in Tilden Park. Two of my other favorites here include a visit to the Lawrence Hall of Science and the Botanical Gardens. Berkeley is also just a 25-minute BART ride away from San Francisco. 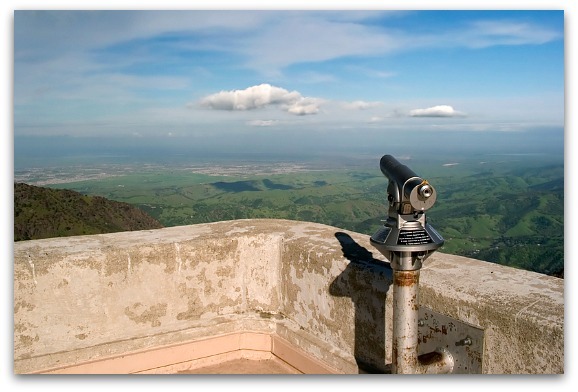 If you are heading over to the East Bay and are looking for a nice outdoor adventure, then check out the hiking at Mount Diablo State Park. You can either walk or hike to its peak at 3,849 feet (the picture below is a view from the top). From the top, you will see most of the Bay Area including San Francisco and out to the Pacific Ocean. There is also a visitors center at the peak that is open daily. The drive to the peak takes about an hour and 20 minutes from San Francisco. You will find wine regions on all three sides of San Francisco. The closest to the east is the Livermore Valley. There are more than 50 wineries in the Livermore Valley area. Even though this region isn't as well known, the first grapes were planted here in the 1760's with the first commercial grapes planted in the 1840s. The region offers wineries the chance to produce everything from Merlot to Chardonnay. Quite a few of the tasting rooms are open Friday - Sunday with some of the bigger ones open all week long. Livermore Valley is about a 45-minute drive from San Francisco. Fairfield is an unassuming town on I-80 about half way between San Francisco and Sacramento. If you speed by it on the freeway, it will seem like there isn't much to do here but gas up your car and head through the drive thru for some fast food. However, there are two things that I think you will enjoy here. The first is a visit to the Jelly Belly Factory. 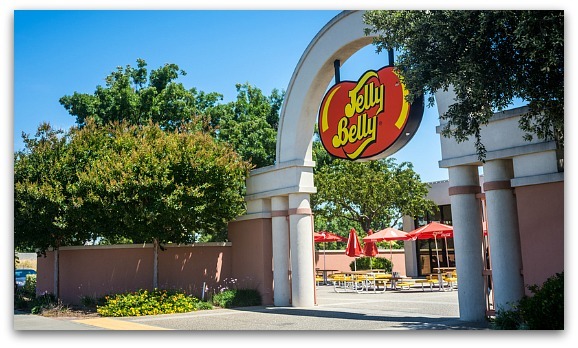 Their headquarters and visitors center is located at One Jelly Belly Lane. On their self-guided tour, you will see how these tasty treats are made each day. At the end, you will also get the chance to pick up some of your favorites for the road. Another fun stop here is the Anheuser Busch brewery tour. They have a tasting room and a guided tour, so you can see how this classic American beer is brewed. Fairfield is about 45 minutes away from SF. The Sacramento-San Joaquin River Delta is a fun summer weekend getaway. It's an inland river delta that covers around 1,100 square miles. Most people come for the boating. However, if you come by car, you will still find plenty of fun things to do. You can do some hiking, fishing or camping. You can also check out the fun bars and restaurants in the small towns of Isleton, Rio Vista, or Clarksburg. Depending on which area you decide to visit, you will find it between one to two hours away from San Francisco. Sacramento is another one of the popular day trips from San Francisco. About 90-minutes away from SF, you will find plenty of things to do. Some of my top picks include visiting the California State Capital, strolling around Old Sacramento, or watching a Sacramento Kings game. You can also check out the large collection of California and European art at the Crocker Art Museum or visit the California State Railroad Museum. Sacramento is full of wonderful restaurants and plenty of outdoors activities too. About an hour and a half east of San Francisco, you will find yet another Northern California wine region. 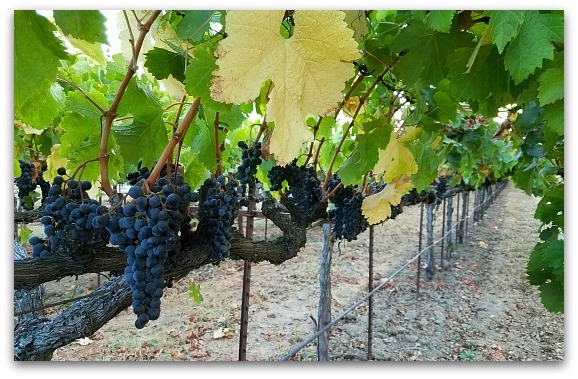 Lodi is home to more than 80 wineries growing a diverse array of grapes. 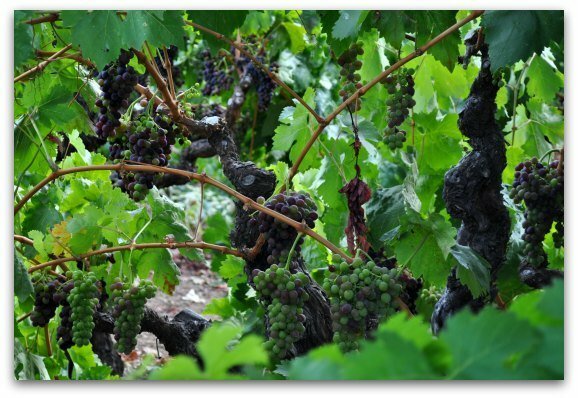 Some of the most planted include Cabernet Sauvignon, Chardonnay, Merlot, Sauvignon Blanc and Zinfandel. The fun part is that you will find a number of tasting rooms in the downtown area, so you can park your car and walk from one to the next. There are also plenty of places to stay here if you decide not to drive back after a day of tasting. Lodi is about an hour and a half from SF. You will love a visit to Tahoe during the winter or summer. Lake Tahoe offers dozens of places to ski and snowboard in the winter. In the summer months, you can enjoy water sports, hiking, and biking through the mountains. When people talk about Lake Tahoe, they will often refer to either North Lake or South Lake. North Lake is home to Boreal, Sugar Bowl, and Incline Village. South Lake Tahoe is home to Heavenly, Kirkwood, and Sierra at Tahoe. North Lake is about 3 1/2 to 4 hours from SF. South Lake is also about 3 1/2 to 4 hours away. Yosemite is a beautiful national park about three and a half hours from San Francisco. 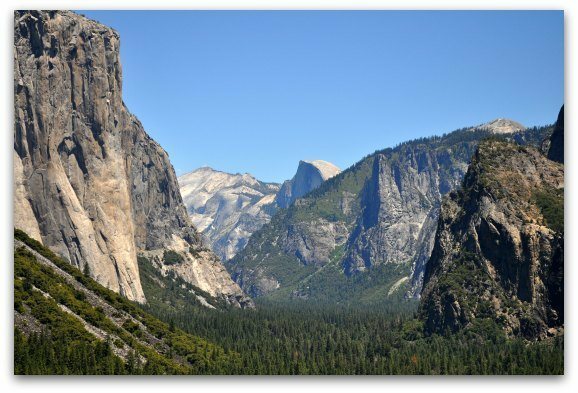 It's home to El Capitan, where you can watch climbers make a straight up ascent from the floor of the valley; Half Dome, which offers you the chance to scale a rock to see Yosemite from above; and Yosemite Falls, a set of three falls with hiking trails and amazing views. While in Yosemite, you can also visit their museum, spend the night at one of their campsites or ride horses all afternoon. It's an amazing place and the main subject of many Ansel Adams black and white photographs. Although you can get here in one day, if you have more time, I recommend booking a hotel and exploring for an additional day or two. If you love the outdoors, this place will amaze you and you'll never want to leave it! Just south of Yosemite is the Sierra National Forest. You will find some amazing vistas here and plenty of places to go hiking or fishing. Some of my favorite stops here include views of Fresno Dome (a large granite rock formation) and Nelder Grove (home to more than 100 Giant Sequoia trees). You can drive to both of these and they also offer some hiking trails too. It's about three and a half hours from San Francisco and a perfect stop when visiting its northern neighbor Yosemite. Head just south of Yosemite and Sierra National Forest and you will find both Sequoia and Kings Canyon National Parks. You can easily visit both in one day (and they are administered together by the parks service), so I have them as just one entry. Kings Canyon National Park is on the northern side and right next to Sierra National Forest. It gets its name from a rugged glacier-carved valley and several 14,000 foot peaks. 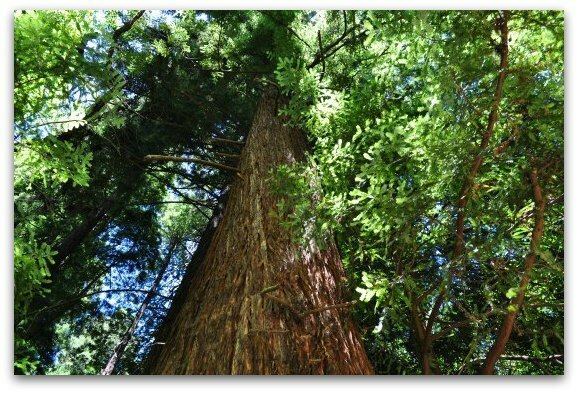 The biggest draw is General Grant, the second tallest tree in the world, which you will find in Grant Grove. You will also find plenty of places to go for a walk or hike. The Pacific Coast Trail/John Muir Trail cross the entire distance of this park. Just to the south is Sequoia National Park. This park is home to the highest point in the contiguous US, Mount Whitney. 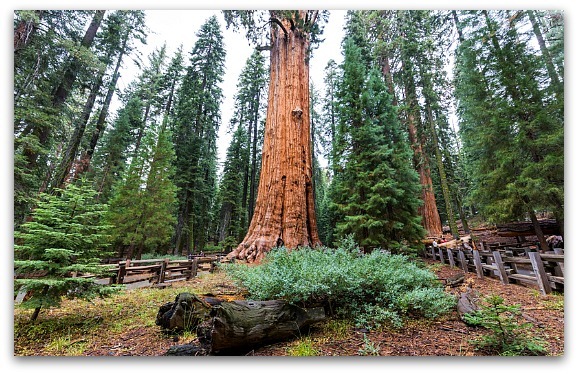 It's also home to the General Sherman tree, which is the largest tree in the world. A visit to both of these parks is an amazing experience and one you will not forget. Even though these days trips from San Francisco will take about 3.5 to 4 hours to get to, I know you will remember your experience here for a lifetime.